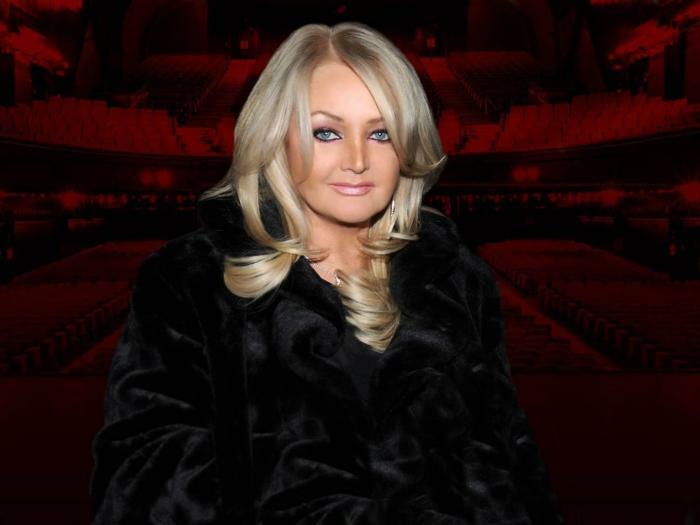 MIAMI -- Some cruise vacationers will be able to experience a "Total Eclipse of the Heart" on Monday when Bonnie Tyler sings her hit song for the first time ever during a solar eclipse, live for the passengers on board. Royal Caribbean says the Welsh singer will be backed on the '80s power ballad by Joe Jonas' band DNCE for a performance in an outdoor theater on its ship Oasis of the Seas as part of a "Total Eclipse Cruise." 7 fun facts about the "Great American Eclipse"
The ship leaves from Florida on Sunday. It will sail through the Caribbean toward St. Maarten on Monday when the moon passes in front of the sun. A total eclipse will be viewable in a narrow band across the sea and the ship will be positioned in the trajectory of the total solar eclipse. "Total Eclipse of the Heart" topped the Billboard charts for four weeks in 1983. DNCE is best known for its 2015 hit "Cake by the Ocean."